If you have installed Mitsubishi aircon in your home or office, and your units require regular servicing, maintenance or repair, Wei Wei Aircon is able to assist you in your aircon servicing needs. 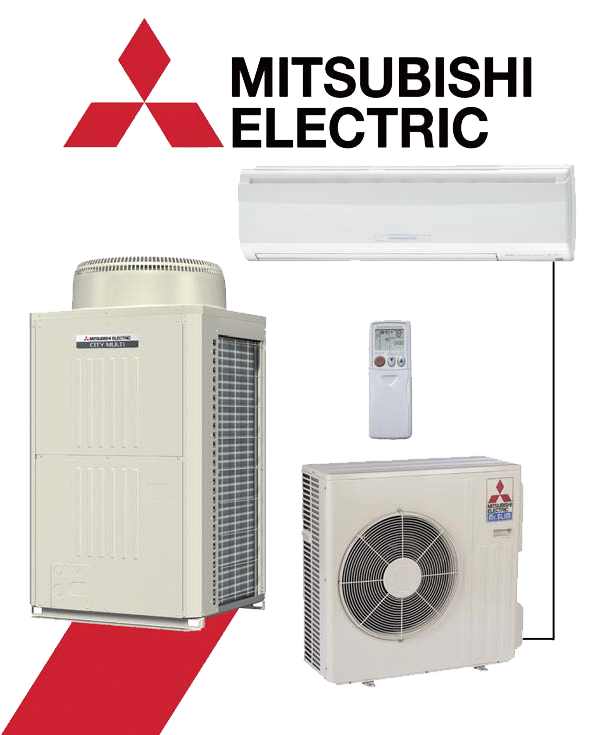 As a reliable Mitsubishi aircon servicing company in Singapore, we have the technical expertise, knowledge and experience in servicing, repair, maintenance and installation services. With the well-known hot climate in Singapore, air-conditioner is an essential electrical appliances to cool us down. Thus, to prevent your air-conditioner from malfunctioning or facing problems such as aircon not cold, it is advised to have regular servicing and maintenance for your Mitsubishi aircon. In any case where your system has breakdowns issues, you can engage our experienced technicians for repair services. Despite these air-conditioner are manufactured in a way to withstand harsh conditions, it is still required to opt for regular Mitsubishi aircon servicing or maintenance. This is to keep your units in good working condition and maximise the performance of your system. By engaging our Mitsubishi aircon servicing, we will send our qualified technicians to your home or office and they will perform regular checks on your air-conditioner system. At the same time, they will clean the different parts in your air-conditioning system such as the filters, check the refrigerant levels, check the electrical parts, etc. to ensure that these parts are working smoothly. If there are any problems detected in your units, our technicians will diagnose the cause and advise you on the possible solutions to repair your air-conditioning system. Performing routine checks is crucial as it helps to detect potential problems and get it rectified as soon as possible. This will prevent worsening of problems which may cause additional repair cost on your system. Hence, having regular maintenance for your air-conditioner is important to upkeep your units and will help you to save on unnecessary time and money. Are you in a situation where your units are facing problems such as aircon not cold, strange noises or smell coming out from your unit? Other than that, there could be other unusual or strange stuff happening in your air-conditioning system that you should engage professionals to have a look. Thus, if you are facing any aircon problems, you can engage our Mitsubishi aircon repair services where our experienced technicians will check and troubleshoot your air-conditioner units, diagnose the cause of the issue and recommend solutions to fix your aircon. When you encounter any aircon problems, you can trust us in repairing your Mitsubishi air-conditioning system. We are able to provide quality repair services with our teams of aircon technicians where they have years of experience in repairing Mitsubishi aircon. Our repair technicians are all fully qualified that will perform quality aircon services and meet your air-conditioning needs for your Singapore Mitsubishi aircon system. Therefore, when you engage our repair services, it will give you a piece of mind as we are able to provide quality and professional Mitsubishi Electric aircon repair efficiently for your home or office. Other than regular servicing and maintenance, once in a while, you should opt for Mitsubishi aircon chemical wash services. This chemical cleaning is required when your air-conditioner is accumulated with dirt, dust, debris where general servicing could not improve the condition of your units. There are many benefits from engaging our chemical wash services, it includes improving cooling efficiency, stronger air flow, cleaner air, prolong lifespan, reduce the possibility of system breakdowns and much more. We provide quality Mitsubishi aircon chemical cleaning to all residential, commercial and industrial clients in Singapore. With our qualified technicians in performing quality chemical wash services, we can ensure that your air-conditioner will regain its functionality and cooling efficiency as before. Furthermore, with years of experience, we have the technical expertise and knowledge in performing Mitsubishi chemical cleaning in Singapore. Hence, if you require chemical wash services for your units, feel free to contact us to book an appointment today. It is no different from other machinery or other air-conditioner brands where regular aircon maintenance is required for Mitsubishi air-conditioning system. Regular maintenance is crucial in up keeping your air-conditioner which will help to maximise the performance, increase energy efficiency, prolong the lifespan of your system and many more. Thus, if your home or office is using the Mitsubishi air-conditioner, you should ensure that it has regular Mitsubishi aircon servicing from the qualified aircon servicing company on a time to time basis. This will help you to save on unnecessary repair cost and with the increased energy efficiency, it will also help you to save money over time. In order to keep your aircon in good working condition and prolong the lifespan, it is essential to service the units regularly. In addition, if there is any fault surfaced, hire a qualified repair company to rectify it immediately, this is to prevent worsening of the problem which could harm the system instead. Other than providing quality aircon servicing, repair, maintenance and chemical wash, we also provide Mitsubishi aircon installation for consumers in Singapore. Our well-trained and certified aircon installer are able to cater to your air-conditioning installation needs by recommending the most suitable Mitsubishi Electric air-conditioning system for your home or office. Thus, if you are looking to install Mitsubishi Electric Inverter or non-inverter aircon in Singapore, look no further and contact us today. We also offer Mitsubishi aircon replacement in Singapore. Hence, we are your one stop aircon installation and replacement company in Singapore. Other than providing aircon services to residential premises, Wei Wei Aircon also provide aircon services to commercial premises where we specialise in Mitsubishi Variable Refrigerant Flow (VRF) City-Multi aircon servicing, repair, maintenance and installation in Singapore. The Mitsubishi VRF system is widely installed in commercial and industrial premises in Singapore such as warehouse, factory and buildings. Thus, if you require any aircon services such as City-Multi Mitsubishi Electric VRF aircon servicing maintenance or repair, feel free to contact us. I am sure many of you have heard of the brand Mitsubishi before. It is a reputable and well-known brand across different sectors such as car, motor, etc. and of course, the air-conditioner. Their air-conditioning system is manufactured under Mitsubishi Electric (Starmex). Mitsubishi Electric aircon is well-known for manufacturing the most energy efficient and quietest air-conditioner in Singapore. At the same time, this can be cost saving in the long term with lower energy consumption from the air-conditioning system. Thus, this is one of the reasons why this particular aircon brand is popular among local households in Singapore. Other than seeing Mitsubishi units in residential premises, it can also be seen widely installed across many commercial or industrial premises. If you have been using an air-conditioning system from Mitsubishi, by now you should have already experienced its technology and the quality. Due to the extreme weather in Singapore, these air-conditioner is manufactured in a way where it can withstand long hours of usage under extreme environment and circumstances. Hence, allowing it to operate smoothly under different environments and other commercial or industrial environment. With our years of experience in the air-conditioning industry, we are able to provide quality and professional aircon services such as servicing, repair, maintenance, installation and chemical wash for different types and brand of aircon in Singapore, including Mitsubishi aircon system in Singapore. We ensure that your air-conditioner units are well maintained and are operating smoothly. Furthermore, we will have regular checks to detect any potential problems in your Mitsubishi air-conditioning units. Call us today if you need any maintenance or repair services for your system.